Desert Dream Royal Camp in Jaisalmer it is the luxuriousJaisalmer Desert Camp in Jaisalmerit has nostalgia of a bygone age of the Maharaja’s Safari and Shikar camps, combined with innovative design demonstrating many of the skills and crafts of Marwar, it is the luxuriousjaisalmer camps,Jaisalmer.The camp consists of tents, each with verandah, bedroom and bathroom. 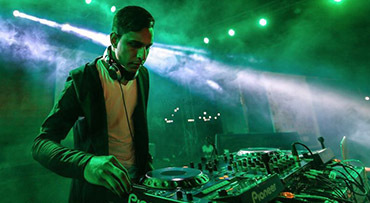 There is a large dining tent serving the best of Rajasthani Cuisine and a large open reception tent seating areas. 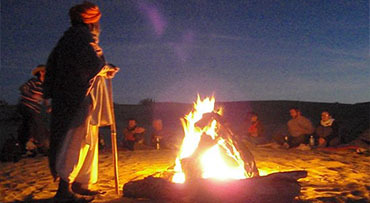 The campfire is the focal point for the evening entertainment programme with drinks and rhytms of the Thar – music, dancing, magicians, puppet shows, jugglers, flaming torches and camel parades. 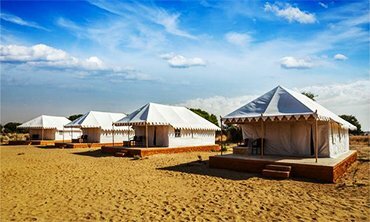 It isjaisalmer desert Camps/Tents. In Jaisalmer Desert Camp, camping makes life fun and create futureistics environments all around in the Desert Camp Jaisalmer. The Camel Safari in jaisamer offers an opportunity to the tourists to enjoy the life in Jaisalmer Desert Safari in the shimmering glory of the desert sand its allows the tourists to explore the life and majesty of Rajasthan and enthrall the desert scape in the Royal Luxury Desert Camp. Its a lovely place. My experience was very excellent with Royal Desert camps in jaisalmer. I enjoyed such an amazing camel ride. Staff was well-trained & well-dressed up. Very helpfull staff, I am very impressed. I suggest to all to go Jaisalmer Desert Camp. 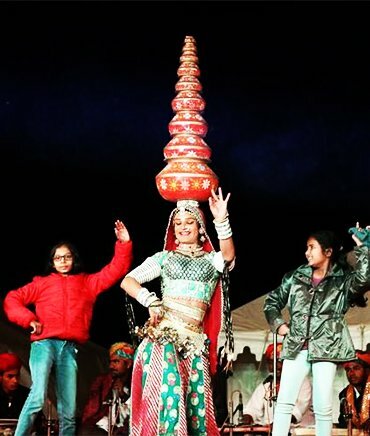 Royal Desert Camp is one of the best camps in Jaisalmer. We had visited on 31st Dec and stayed here for the night. There was an extra charge for the Gala Dinner, but it was worth the money spent. We were 3 girls on a road trip and Jaisalmer Desert Camp was a safe and good place to be at. Superb location and food at Jaisalmer Desert Camp. There were peacocks roaming around the tent. It was very beautiful day watching them play. They arranged safari in the evening for dunes it is the best desert camp in Jaisalmer. 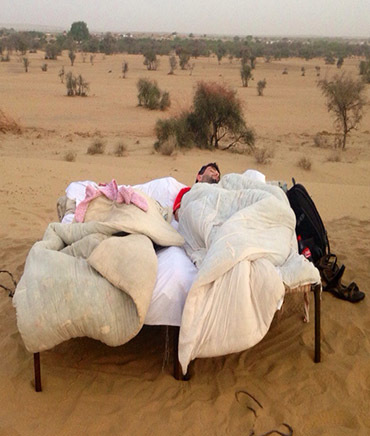 In Jaisalmer Desert Camp we organize special exclusive Under Sky Sleeping in the desert of Rajasthan. There is something beautiful about sleeping out under the stars. It gives us those moments of realisation and tells us we are just so tiny in comparison to the cosmos. The unique sensation of waking up at the chirping of birds and not the alarm clock is simply out of this world! 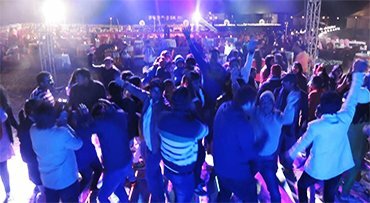 Package includes night stay under the sky, camel safari, traditional welcome, refreshment, Folk music and dance, bone fire, dinner and breakfast. In Jaisalmer tents we organize specializing exclusive deluxe camel safaris and camping anywhere in the desert of Rajasthan. 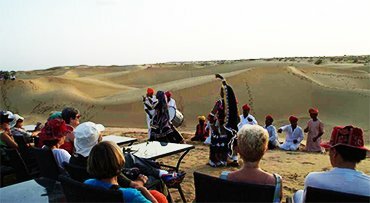 The base camp is located 1 km before sam sand dunes it is the royal camp in Jaisalmer where you can enjoy our special desert dream package, it is the best camp in Jaisalmer Package includes night stay, camel safari, traditional welcome, refreshment, Folk music and dance, camp fire, dinner and breakfast. The Luxury Camp in Jaisalmer offers rustic and spacious Luxury Tents in jaisalmer with all modern conveniences. Luxury Tents come with twin beds draped in crisp clean cotton linens and exclusive under sky sleeping adorned with candles lantern and marshals in the sitout verandah. Enjoy a heart throbing weekend dedicated to helping you unwind from your daily routine.